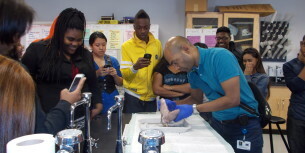 MIM offers a wide and diverse range of elementary to college programs. MIM demonstrates proven results in improving lives. See what both students and leaders have to say about MIM. Mentoring In Medicine is a 501 (c)(3) non-profit organization that works with underprivileged students in 3rd grade through health professional schools. Sponsor a student, class or program and help to inspire and prepare students to become health care and science professionals. 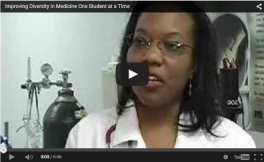 "I had the interest but not the confidence to apply to medical school. My MIM family believed in me and were voices of strength, encouraging me and helping me to achieve my goals. I know that I can't give up because they won't give up on me." "I wanted to first thank you both again for the tremendous amount of support and guidance I received to be where I am now. 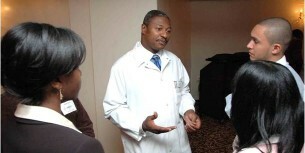 Everyday I am reminded of how blessed I was to find Mentoring In Medicine and I can never be thankful enough to you."